Medical Tourism India is being offered by the premier India based tour operator - Travel India Company. Travel India Company is one of the leading tour operators based out of Bangalore, India. Travel India Company is proud to provide a gateway to India for medical tourism. Travel India Company is one of the premier tour operators located in Bangalore, India. Travel India Company has extensive experience in conducting well managed tours across India for travelers spanning the entire globe. Medical Tourism is a venture undertaken by Travel India Company to provide accessible and affordable healthcare to patients around the world. This started as a small concept and is experiencing amazing growth thanks to the efforts and dedication by the Travel India Company. Medical tourism can be broadly defined as provision of ‘cost effective’ private medical care in collaboration with the tourism industry for patients needing surgical and other forms of specialized treatment. This process is being facilitated by the corporate sector involved in medical care as well as the tourism industry - both private and public. In many developing countries it is being actively promoted by the government’s official policy. India’s National Health Policy for example, says: “To capitalize on the comparative cost advantage enjoyed by domestic health facilities in the secondary and tertiary sector, the policy will encourage the supply of services to patients of foreign origin on payment. The rendering of such services on payment in foreign exchange will be treated as ‘deemed exports’ and will be made eligible for all fiscal incentives extended to export earnings”. The formulation draws from recommendations that the corporate sector has been making in India and specifically from the “Policy Framework for Reforms in Health Care”, drafted by the prime minister’s Advisory Council on Trade and Industry, headed by Mukesh Ambani and Kumaramangalam Birla. India offers World Class Medical Facilities, comparable with any of the western countries. India has state of the art Hospitals and the best qualified doctors. With the best infrastructure, the best possible Medical facilities, accompanied with the most competitive prices, you can get the treatment done in India at the lowest charges. A patient will come to India where he will undergo medical treatment and along with that we will show him the Indian tourist and pilgrim destinations, as and when advised by the Doctors. The whole thing would save him a lot of money and he will get to discover India at the same time. We assure that we provide the best medical and travel facilities during for you in India. Get your medical treatment done in India at a fraction of the cost at which it is done abroad - in Europe or America. 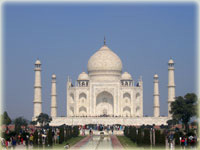 Besides providing you medical treatment, we will also show you different tourist destinations in India. The complete package will cost you less that what you would have to pay for the medical charges alone, in other European, Middle East or American countries. 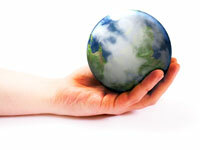 "Estimates of the value of medical tourism to India go as high as $2 billion a year by 2012. In 2003, Indian finance minister Jaswant Singh called for India to become a 'global health destination'"